The last five years has seen a huge growth in the number of on-line collaboration tools. These are often light in nature and little more than shared todo lists. New customers have often reflected that whilst those things were easy to adopt. Their users initially found them helpful. However as organisations got beyond the lowest rungs of maturity they quickly fell into disuse as they didn’t really cover what was needed. We have unfortunately heard this far to often. So in this post we look at how PIAB can help you with collaboration and then also move beyond that. Point and click navigation makes it very easy to find the info you need in the process structure. That you can also preview most files direct in the browser is great. So finding and reading things quickly and simply aids shared understanding. Discussion threads allow users to have open and free form chats around project topics. Users can even get email notifications if their popular threads are added to. All this file and thread content is indexed so you can search out topics you need. With a single click users can access the tasks, risks and issues associated with them. This makes it easy for users to focus on the things most relevant to themselves. These are all the sort of things that simple collaboration platforms use to support team working. You can see this exploration of collaboration video here at our YouTube channel, or on our site here. Of course PROJECT in a box goes much further than these simple team collaboration tools. You can also take advantage of sophisticated planning and resourcing capabilities. 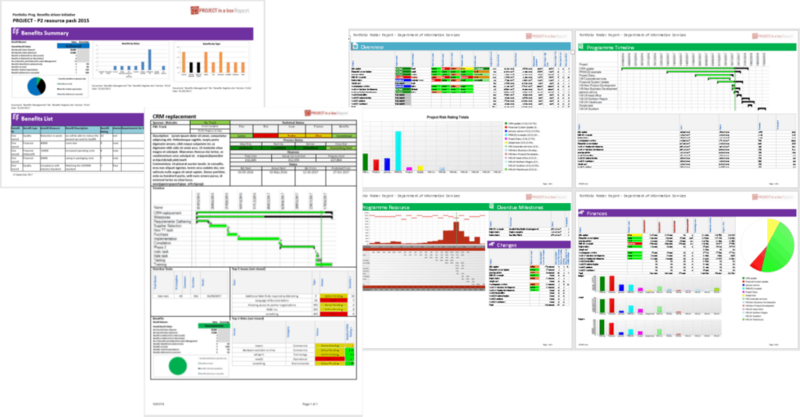 Customers also find the reporting at project, programme and portfolio levels a huge benefit. And those are just the start. So if you are looking for a tool which is easy to adopt and will deliver great collaboration for your teams but will also support your maturing aspirations then PIAB is the thing for you.